late last year and one hash tag can really take off. and I have completed 36 blocks! I did find putting these blocks together a little challenging. The construction was easy, it was the fabric selection I struggled with. I think I can do scraps and Rainbow but struggle with "Scrappy Scraps"
if you know what I mean. They scare scared me. Scrappy and not to much yuck factor. But what to use as a Backing and the binding? it is now off to hang with some other Flimsy's. So that was this mornings sewing, as for the afternoon. and I am using a decorative stitch. 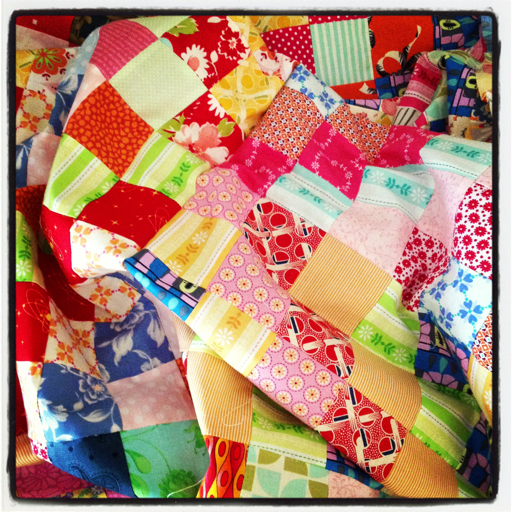 You should be very proud of yourself Sharon, your quilt is amazing and you made it so quicky. I love it. Well done. Love it! I was thinking the fabric in your last pictures would make a great backing for the Scrappy Tripalong! Whatever you decide, it will be fantastic! 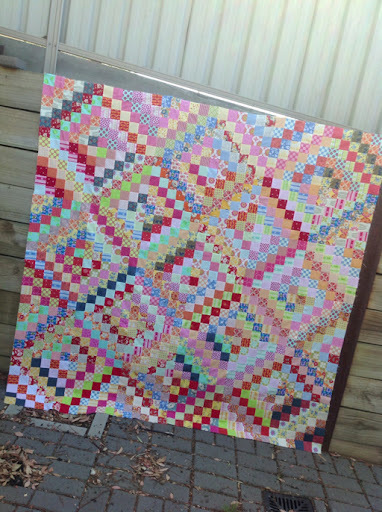 I love your Trip along quilt Sharon - so bright and colourful! Great work. It's amazing how truly scrappy scraps can come together. 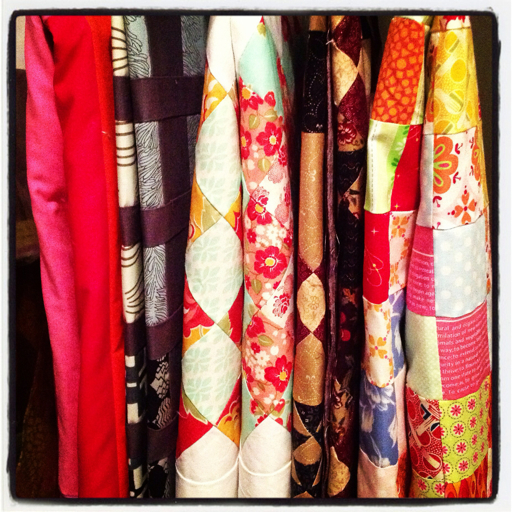 You'll have lots of quilting to do in winter. So very pretty....I love it. All those lovely bright colours . your randomness is wonderful. A fantastic flimsy. I LOVE it! You have done a fantastic job of colour selection. I am so far resisting joining in, but my resolve gets weaker with each new Instagram pic ;) Keep up the great work! How on earth do you get so much sewing done with young children? I can't wait to see then finished product. 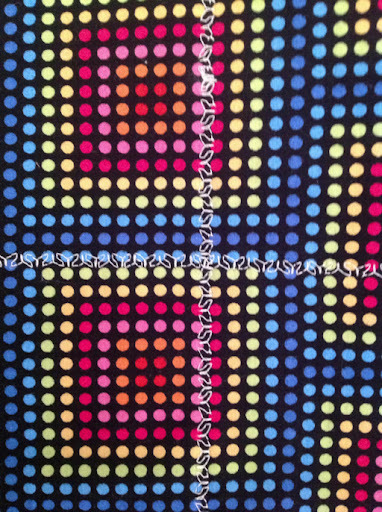 I love your scrappy quilt. You have done an awesome job.
! I agree this design is all about contrast. Yours is gorgeous!